Enter the form below for a chance to win 50% off your wedding dress with a value of up to $600! This generous contest is provided by Hannamars Bridal located in Peterborough. 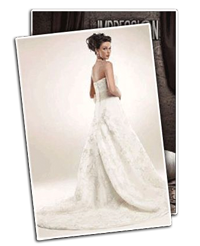 Hannamars provides wedding gowns, bridesmaids dresses, prom dresses, mom’s gowns and flower girl dresses from the world’s leading bridal houses. You could be the lucky winner of this great contest. Good luck!